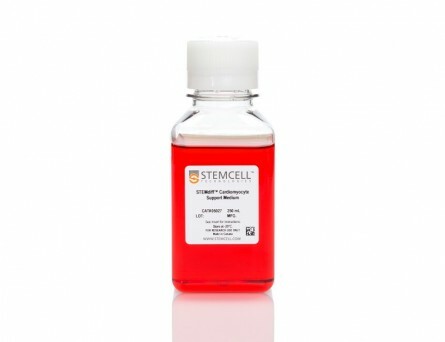 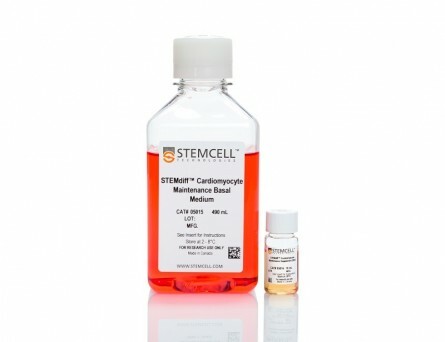 STEMdiff™ Cardiomyocyte Freezing Medium can be used to cryopreserve cardiomyocytes derived from human pluripotent stem cells (hPSCs) and maintained in STEMdiff™ Cardiomyocyte Maintenance Medium (Catalog #05020). 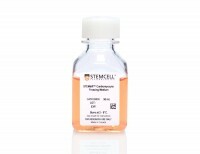 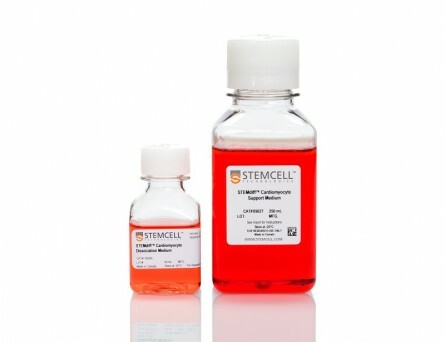 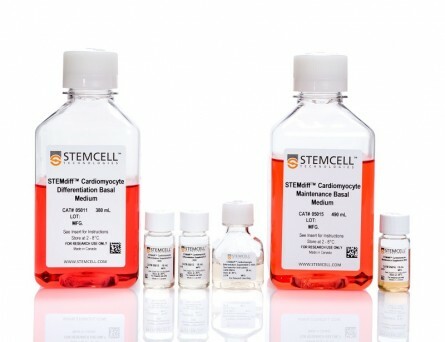 STEMdiff™ Cardiomyocyte Dissociation Kit (Catalog #05025) is required for dissociating cardiomyocytes prior to freezing. 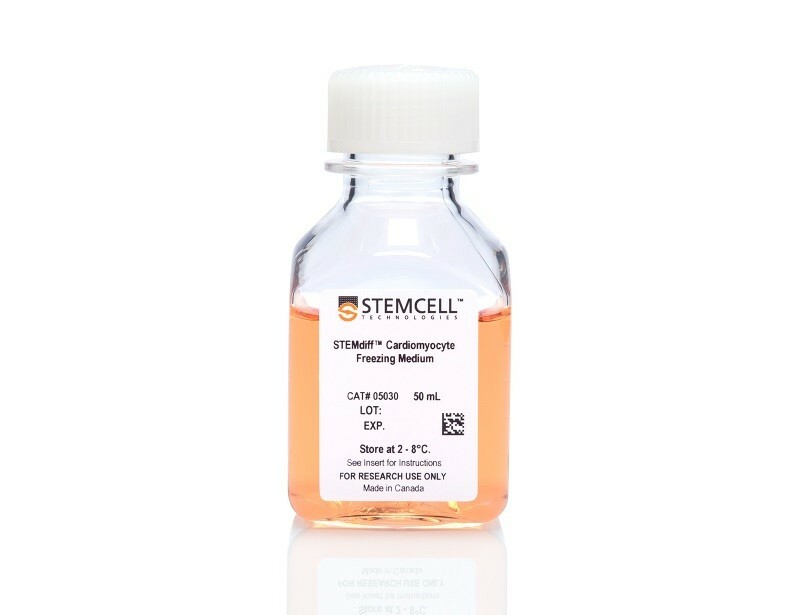 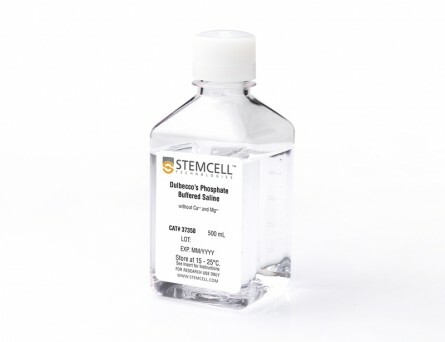 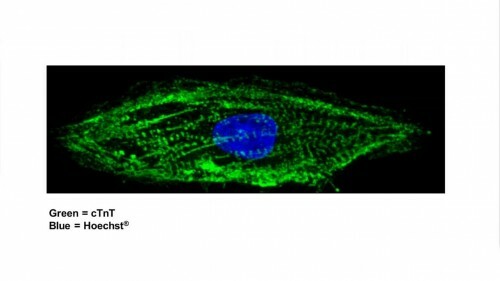 After thawing using STEMdiff™ Cardiomyocyte Support Medium (Catalog #05027), the cardiomyocytes can be used in various downstream applications and analyses. 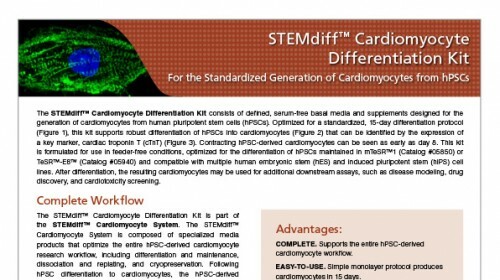 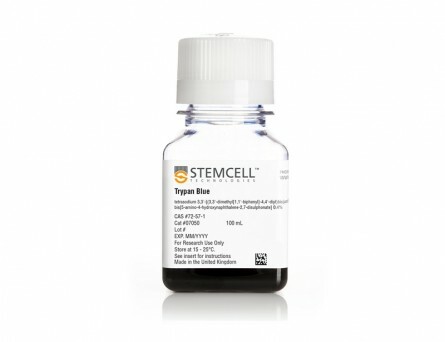 This medium supports hPSC-derived cardiomyocytes generated using STEMdiff™ Cardiomyocyte Differentiation Kit (Catalog #05010).